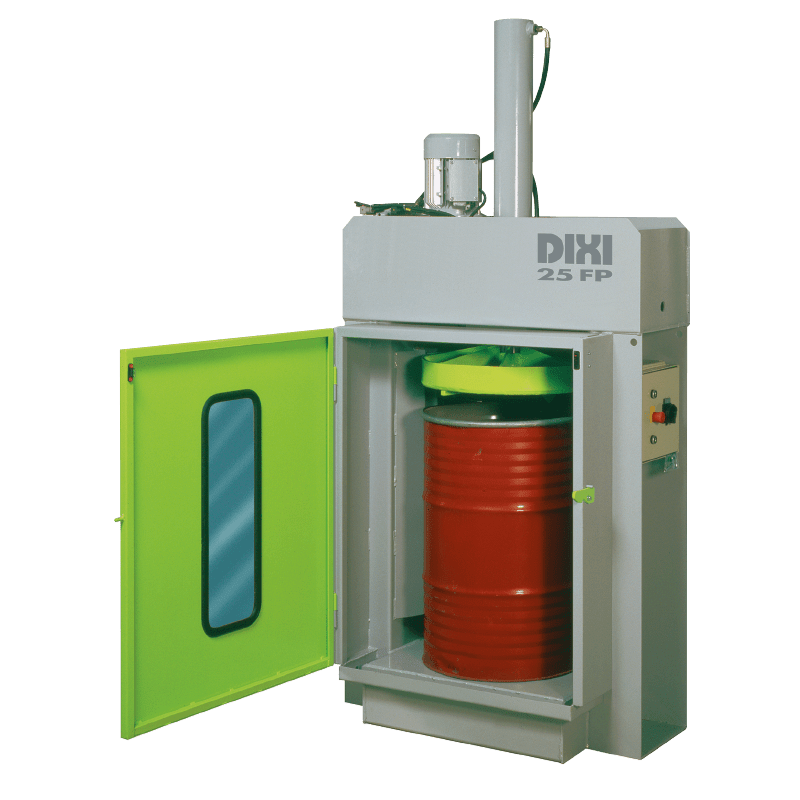 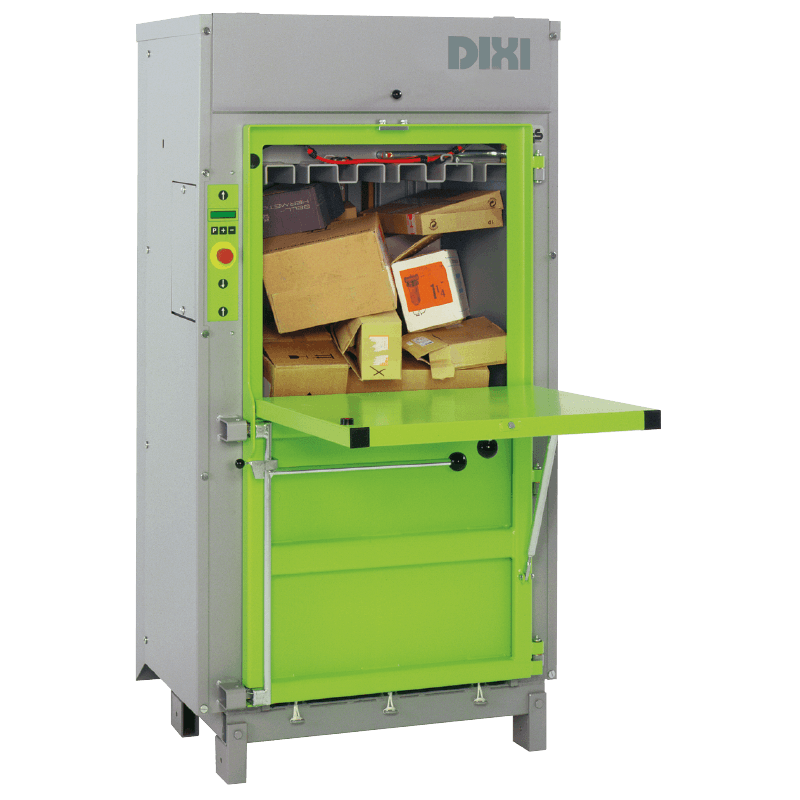 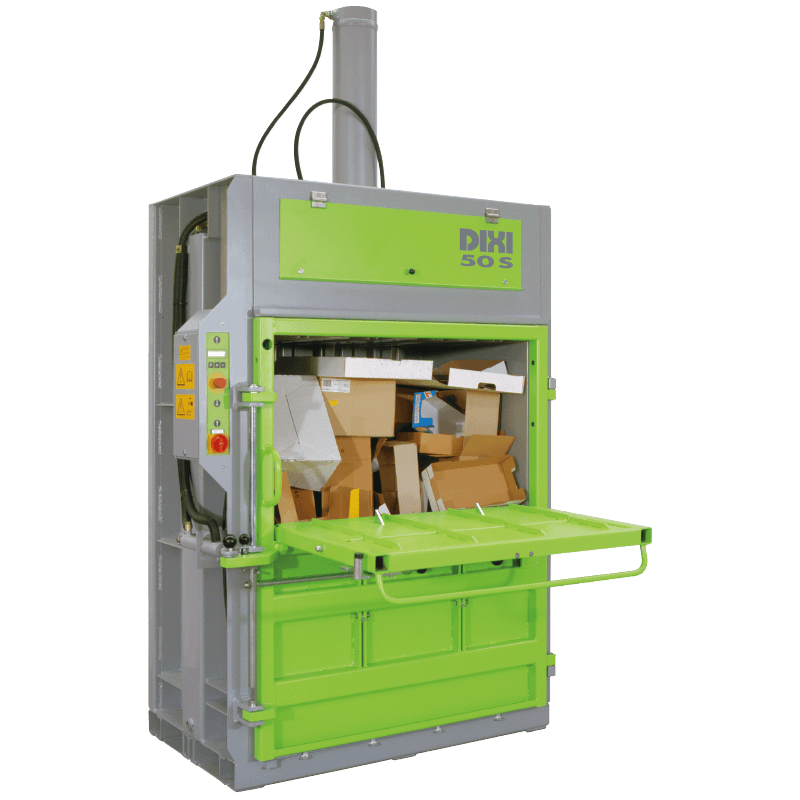 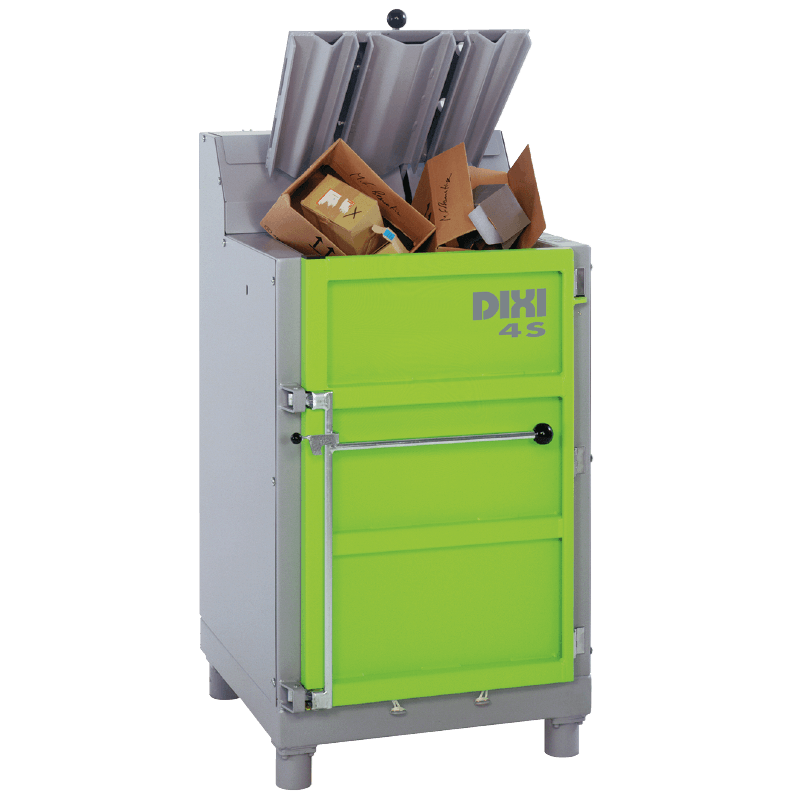 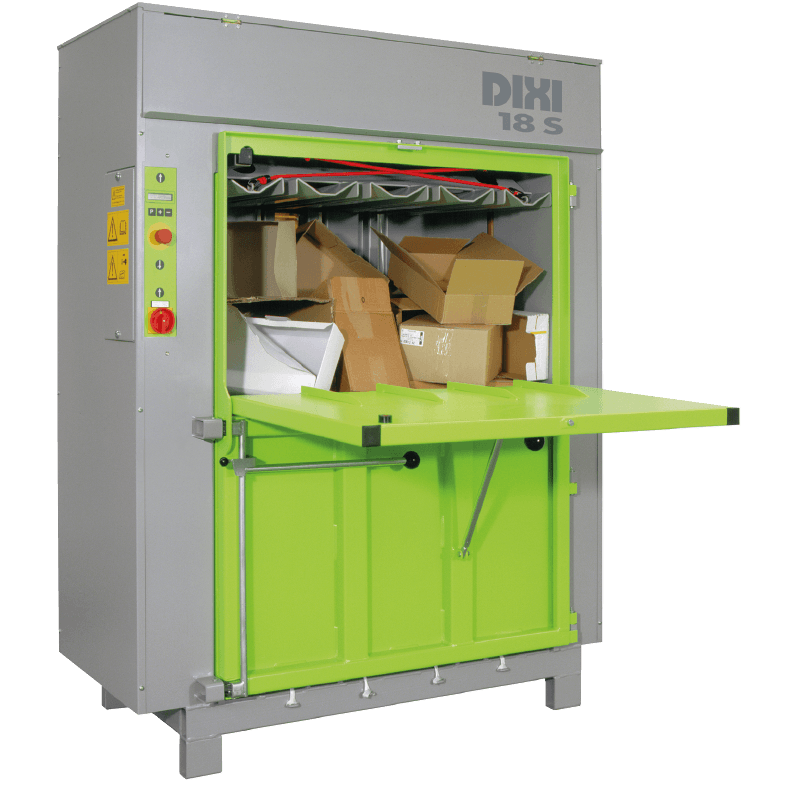 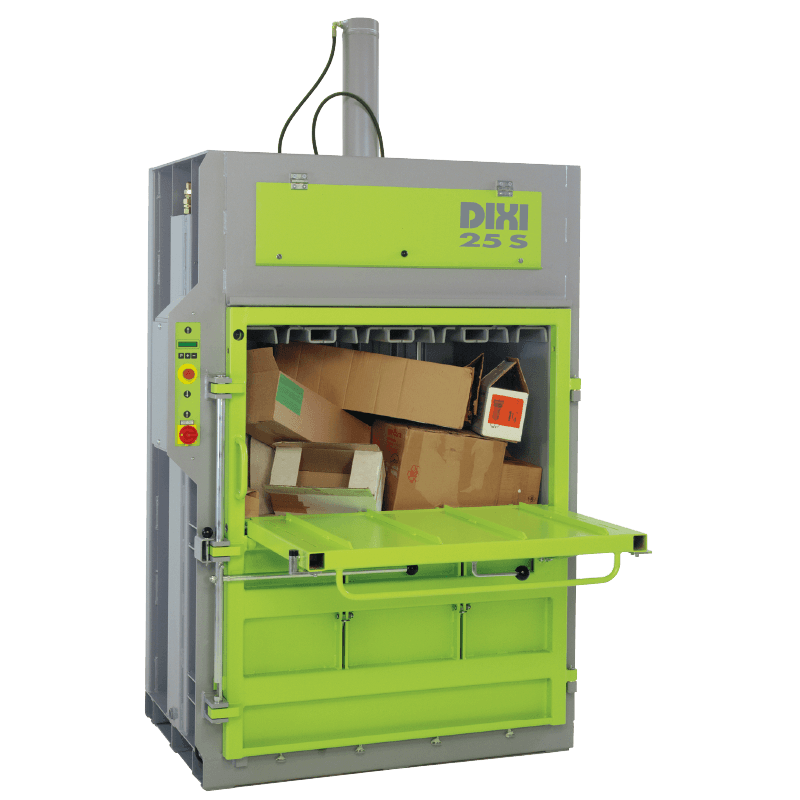 The Dixi 50 S baler has a 7.5kW motor and is available with single or double doors the fast compaction time of 23seconds and a complete cycle time of 41 seconds. 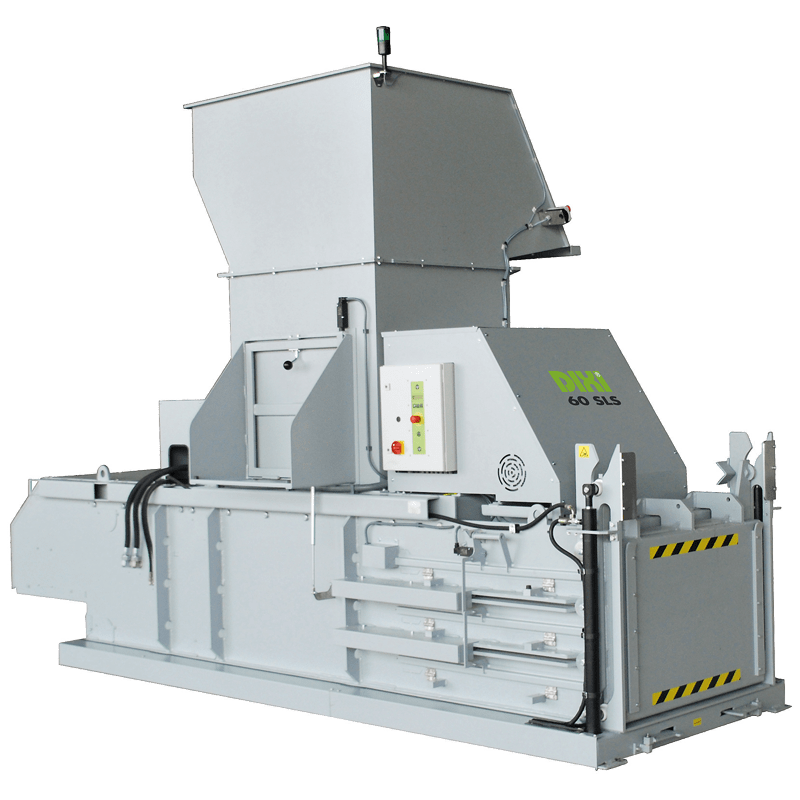 The baler has a compaction force of 50 tons and produces mill size bales, the PC control allows the compaction force and time to be varied for different materials. 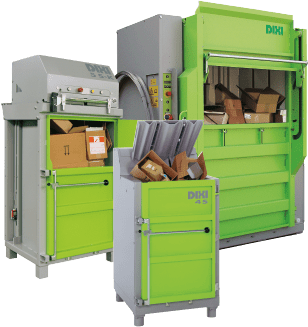 The high quality build has meant that many of these machine have been operating for over 10 years. 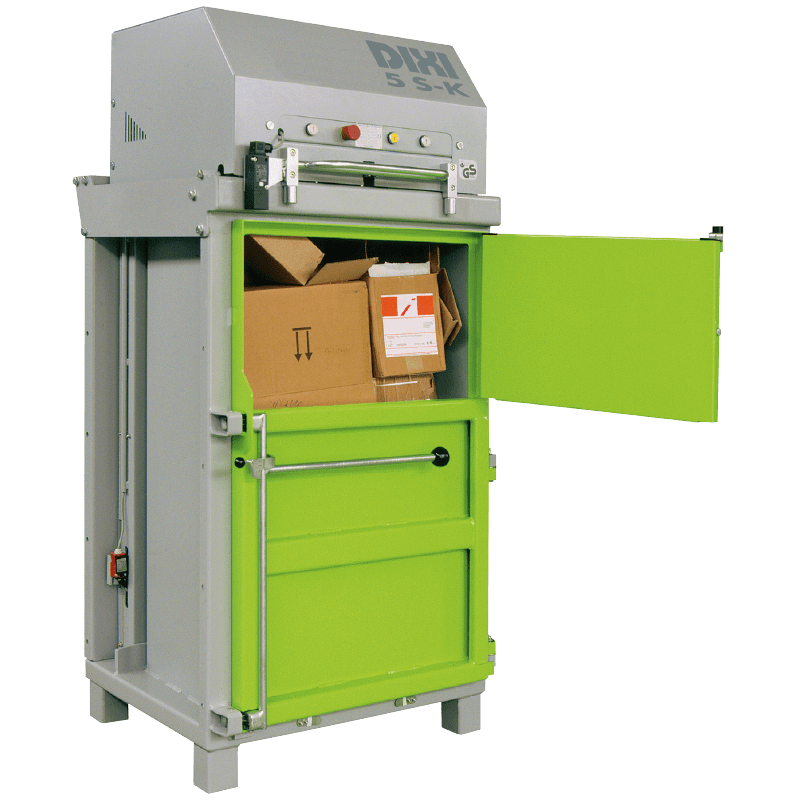 The 50 S baler can be operated with wire or tape (which we hold in stock at our works). 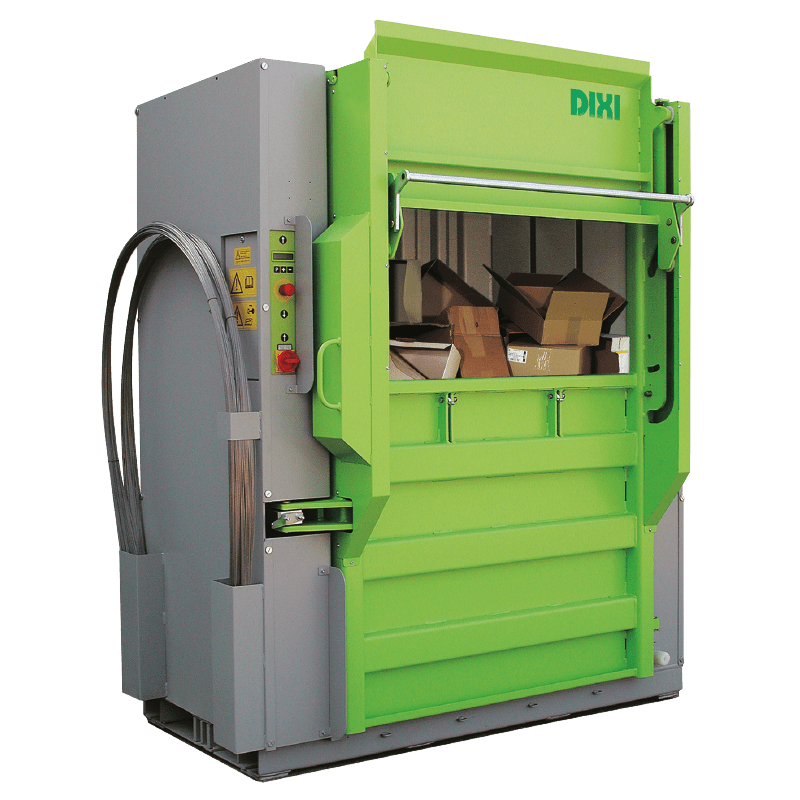 The bale size of 120 x 80 x 80 is typically 350 – 500 kg, the gross weight of the machine is just over 2,000kg.